Items on the racking weigh more than the maximum amount the racking is intended for. 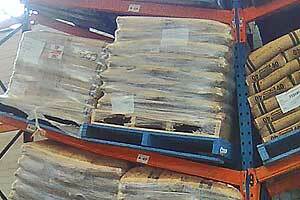 The racking has been exposed to moisture or other irritants that could lead to warping. 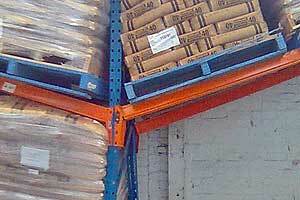 The racking was made of unsuitable materials or has other issues that aren’t obvious. At AGAME Universal, we are experts when it comes to Australian Standard 4084 for Steel Storage Racking. We can help you ensure that all of your racking is in complete compliance. Our process is the most efficient and effective in the industry. Our Rack Audits involve a comprehensive visual inspection of your site. We can provide you with a detailed report, identifying all outstanding items, including rack defects, damaged racks, and overloaded racks. 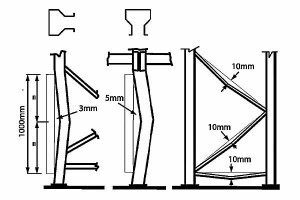 We can also provide schematic drawings to highlight where repairs are needed. We professionally carry out minor repairs or major overhauls. Construction details and drawings are supplied to our professional installers, to ensure the job runs smoothly and safely. 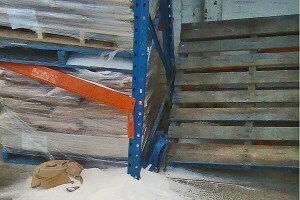 No matter how well your pallet racking has served you until today, it’s never a bad idea to be proactive when it comes to your storage system. Damage to your storage could lead to days of lost productivity and the opportunities they represent. At AGAME Universal, our deep familiarity with steel storage racking allows us to see both opportunities and challenges that others might overlook. In the event that you need help with replacing any kind of racking, we can immediately provide for your needs. When there’s so much at stake in your facility, you should always use the most skilled experts. If you want to make sure that you are getting the very best pallet rack inspection services — services that can help you avoid expenses and plan the best strategy for your warehouse space — use AGAME Universal. We have years of experience managing complex, large-scale pallet rack inspection projects. With expert consultants based in Newcastle, Sydney, and Wollongong, we can travel to your location to provide our expertise within a very short time. Don’t settle for less when it comes to your pallet rack inspection: The future profitability and even safety of your warehouse floor space could depend on it. AGAME Universal is a “one stop” solution that provides both the products and the knowledge to get the most from them. Email us or call right now to arrange your next pallet rack inspection with AGAME.